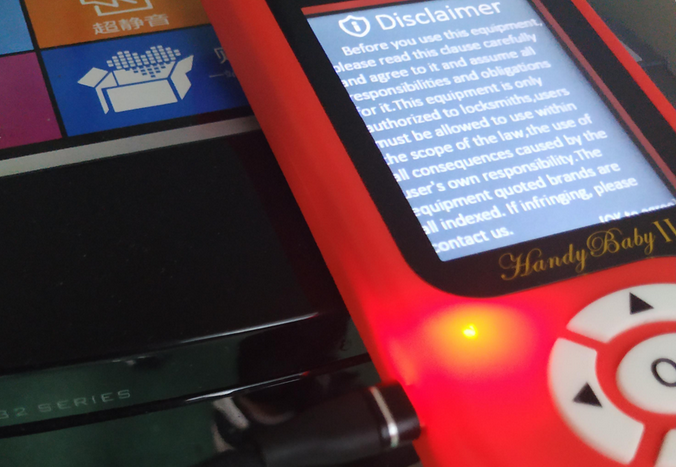 There are two ways to update Handy baby II key programmer. 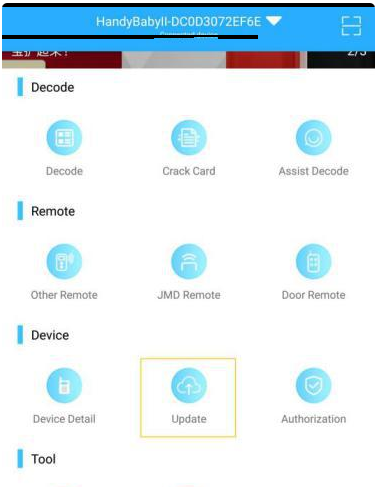 You can upgrade on the computer side or on the phone side. 3. Then wait for the upgrade to complete. 1. 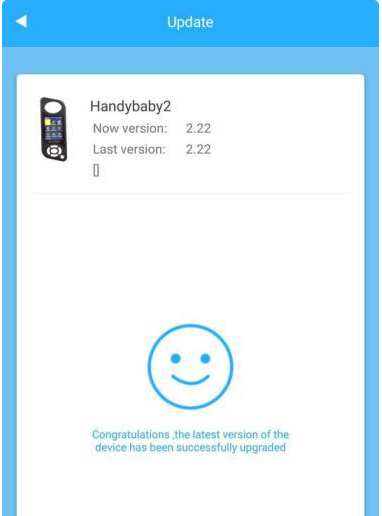 Open Handy-baby II Bluetooth and connect to the phone APP. 2. Select the firmware upgrade. 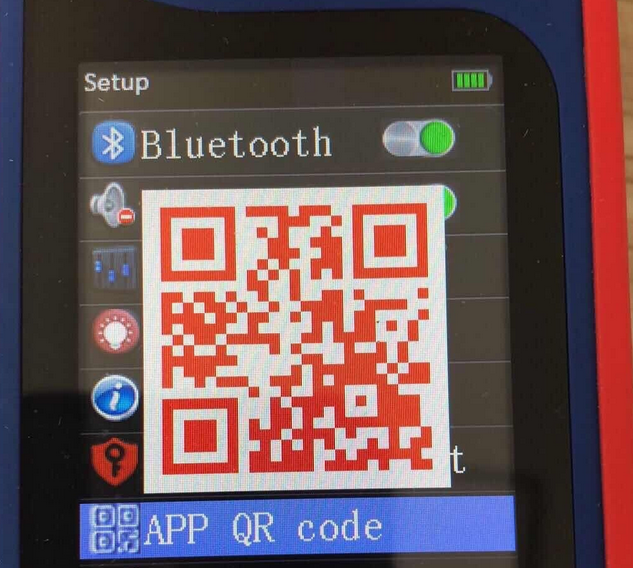 Scan the Handy Baby II APP QR code to download, both IOS and Android are ok.